Children are curious about the world around them. So, even basic household items like window fashions can turn into potential hazards for them. For families, safety is the number one priority, and most are unaware of all the children and pet safe options that are available to them without having to sacrifice aesthetics or control. From cordless alternatives to motorized systems, we offer many innovative operating systems designed with safety, convenience, and beauty in mind. 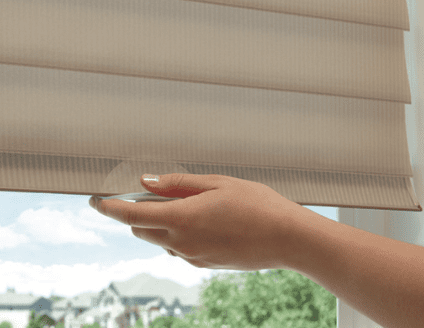 Motorized window treatments give you complete control over your window coverings, peace of mind due to improved safety, and it’s a nice tech savvy upgrade that even allows you to operate and schedule your shades via a remote, phone, tablet, or voice! With motorized solutions, there are no visible or hanging apparatuses that pose as a dangerous to small children or pets. Motorized options are also perfect for those who cannot easily access windows such as the elderly or those with limited mobility. To learn more about motorization or the brands we carry such as Somfy, Rollease Acmeda, Lurton, Hunter Douglas Power View and more, click here. Top-Down/ Bottom-Up (TDBU) window treatments are perfect for roman shades, cellular shades, pleated shades and more. With this method of operation, you can determine the angel from which natural sunlight can enter the home, and how much privacy you would like. TDBU window treatments are a great addition to your space as there are no visible wires or cords and add a clean and contemporary aesthetic. 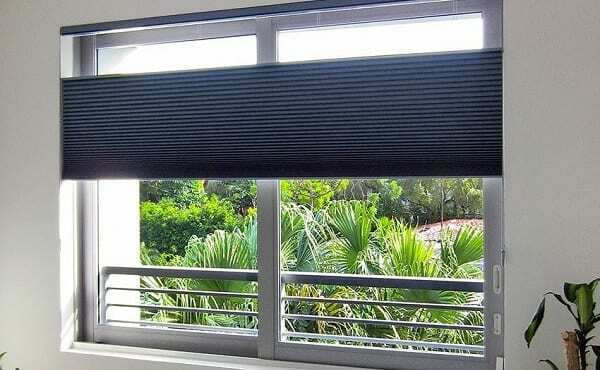 Spring assists is a traditional operating system specifically for roller shades which allows you to adjust these window coverings with a slight tug at the bottom. Contact us to learn more about going cordless and to schedule your FREE in-home consultation.